Two double bedroom first floor flat close to West Ewell station and shops. Reception hall with storage and entry phone system. Dual aspect large lounge/diner with door to private balcony. 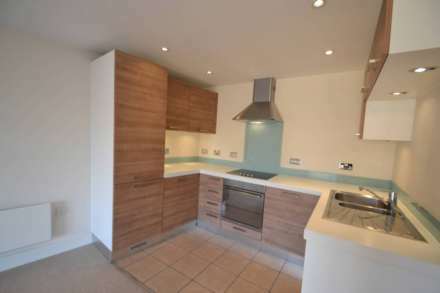 Modern fitted kitchen with range of wall and base units and integrated appliances including dishwasher. Master bedroom with built in wardrobes. Second bedroom also a double. Bathroom with bath/shower over, basin and WC. Allocated parking. Unfurnished and available 11th March 2019.